Over/Under: Under 150.5 at 1.90 Bet Now! Both of these teams have a 2-7 record and they are both consigned to featuring in the Eurocup in the New Year. The champions of Poland and Turkey have struggled this season but at least one team will be able to end their Euroleague regular season on a high while avoiding last place in the group. 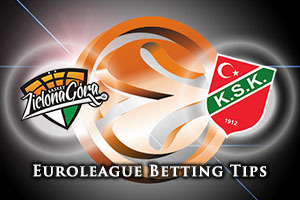 The biggest issue for Zielona Gora this season can be found in the fact that they are the lowest scorers in the Euroleague this campaign. At the conclusion of Round 9, they held an average of 64.8 points per game, which is a big reason in why they will be dropping down into the Eurocup. Mateusz Ponitka has been a key player for them and managed to set a career high of 12 rebounds when these two teams clashed in Round 5. He and Vlad Moldoveanu will be the key players if the hosts are going to end the season on a high and look forward to the Eurocup with a bit of confidence. The last time these two teams clashed Pinar won by 77-66 and Colton Iverson was in great form. He managed to grab 15 points on that occasion and he has been one of the shining lights for the Turkish team this campaign. Pinar will be looking to end a difficult season on a high and set themselves up for a good run in the Eurocup. Justin Carter may have a big role to play in this game and if he can snuff out the threat from Pontika, it could be a game where the away team gets the last laugh. The home team are slight favourites for this clash and it is difficult to know just how this game will go. 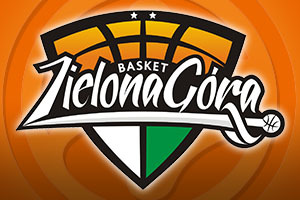 With that in mind, taking Stelmet Zielona Gora at -2.5 at odds of 1.90 is likely to be a decent bet. For the Over/Under market, look to go UNDER 150.5 at odds of 1.90. Bet Now!